Organically grown, without any pesticides of artificial coloring, our Fresh Garlic is cultivated using our state of the art facilities and cutting edge techniques. 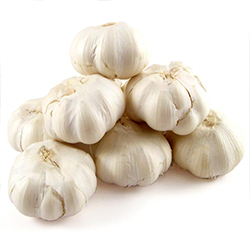 Affordably priced, our Fresh Garlic is priced at competitive rates, despite its vastly superior quality and richer flavor, as compared to the other garlic made available on the market. Handpicked and processed in a hygienic facility, these Fresh Garlic orders will be sent to your doorstep with minimal contamination and damage done to the customers order.